Hall and Oates had a song with the lyrics, "private eyes are watching you, they know your every move." We now live in a world where technology has advanced so much that a spy camera the size of a pencil eraser can be bought for next to nothing. This means that at any moment, not matter where you are, someone could easily watch and record you. It sounds scary, right? Well, it is very scary and it would seem like you are defenseless, but that is far from true. In this article we will talk about how to protect yourself from these tiny spy cameras. So how can you protect yourself? The key to do this is with a spy camera detector that can sense hidden cameras in any room that you enter. This means that whenever you are in a hotel room, an office or even someone's house you will be able to know when you are being recorded by a camera. It is the best counterintelligence for the times that we live in where you can easily be recorded without you knowing it, a world where cameras are everywhere, and most often out of sight. So how do spy camera detector tools work? Well, different tools work in different ways. Some tools are specifically made for locating wireless cameras so they search for the wireless signal based on signal strength and you are able to locate them that way. 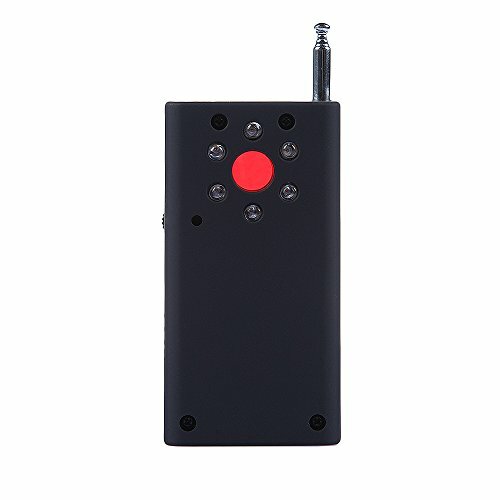 Others look for electronic profiles that cameras have when they are on, this signature allows the detector to spot them. This is great for when there are cameras that are not wireless that you need to detect. It is good to have a tools that can do both so that you have all camera types covered. Signal strength indicator with means to quickly find the signal at source. Adjustable sensitivity adjustment potentiometer (widening the scope to improve the sensitivity or lower sensitivity to detect reduced detection range) quickly identify the radio sources.